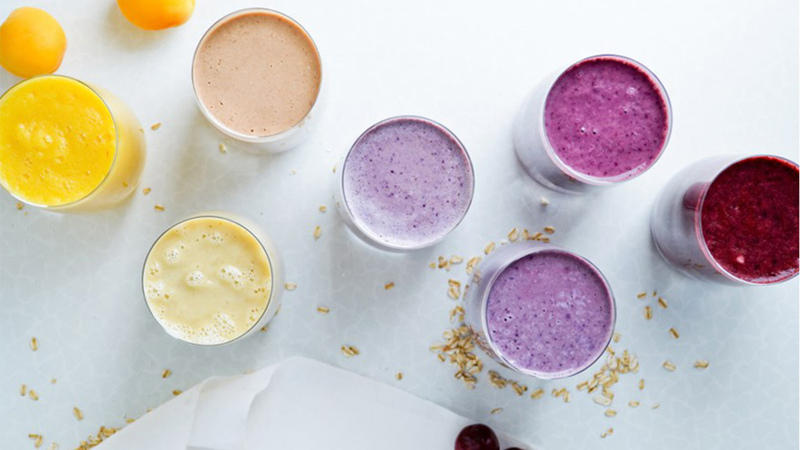 ourteen instructors reveal recipes for their favorite smoothies, perfect for an easy breakfast or post-ride refueling. Tap back and drink up! Saturate ingredients with Pom Juice, then blend and drink! I don't always measure out the ingredients! I just kind of throw things in there and it's always delicious! Top your smoothie bowl with sliced black mission figs, chai seeds and hemp seeds. My go-to smoothie consists of bananas, almond butter, alkaline water and chocolate whey protein. With two or three classes a day, I need the alkaline water to balance my body, bananas for the potassium, and the protein to nourish my muscles throughout the day. Also, with all the cardio, my body’s metabolism needs as much protein as possible. My go-to smoothie is 100% vegan and coconut lover certified. I blend together acai, frozen blueberries, coconut meat, coconut sugar, vegan vanilla protein powder, almond butter, almond milk, and frozen spinach! It's so yummy! I like to make things as quick and easy as possible. Hectic schedules can be another reason to not eat as healthy, but with this quick recipe anyone can do it in NO time! I buy all the ingredients from Trader Joe’s, and call it the PB&J! Add all of these ingredients in the blender. 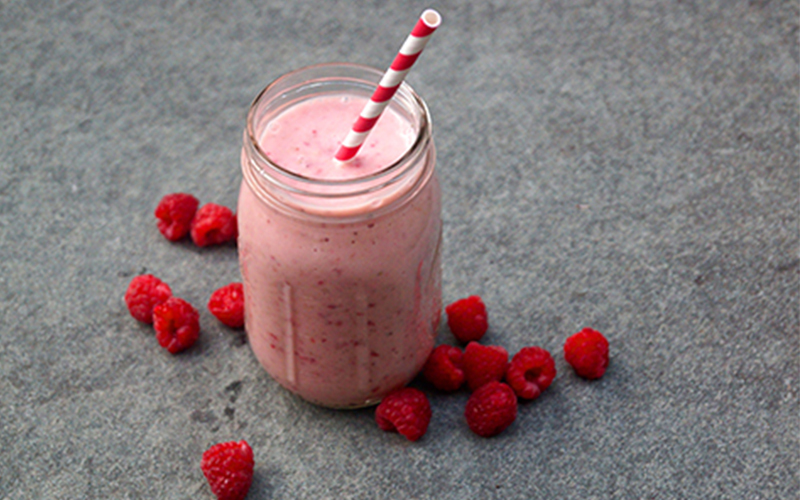 Pulverize until you can see the texture you want the smoothie to be, then drink up! It's the best way to get all that you need for your day in the quickest amount of time. Enjoy! I like keepin’ it simple with crushed ice, banana, almond milk and a little whey protein! A fall smoothie for the change of season. Blend until smooth and top with the dried cranberries.